The following excerpt from the Lake Sun article on the daily challenges faced by parents in living with their child's autism illustrates that one of the old problems - parents concerns being brushed aside by doctors and pediatricians - is still occurring and still costing the children involved valuable time when they could be receiving active intervention. For intervention the earlier the better. But this valuable time is squandered when lazy or out of date physicians tell parents they are over reacting - or the old classic - he's a boy he'll grow out of it. TUSCUMBIA - Amanda Phillips knew something was wrong with her son, Owen, when he was 16 months old. Looking back, she describes the symptoms generally. First it was the tip-toe walking, then he flapped his hands and arms a lot, and finally, it was the loss of the few words he did know. The pediatrician brushed off Phillips' concerns as an over-reactive parent, but Owen's symptoms did not improve. 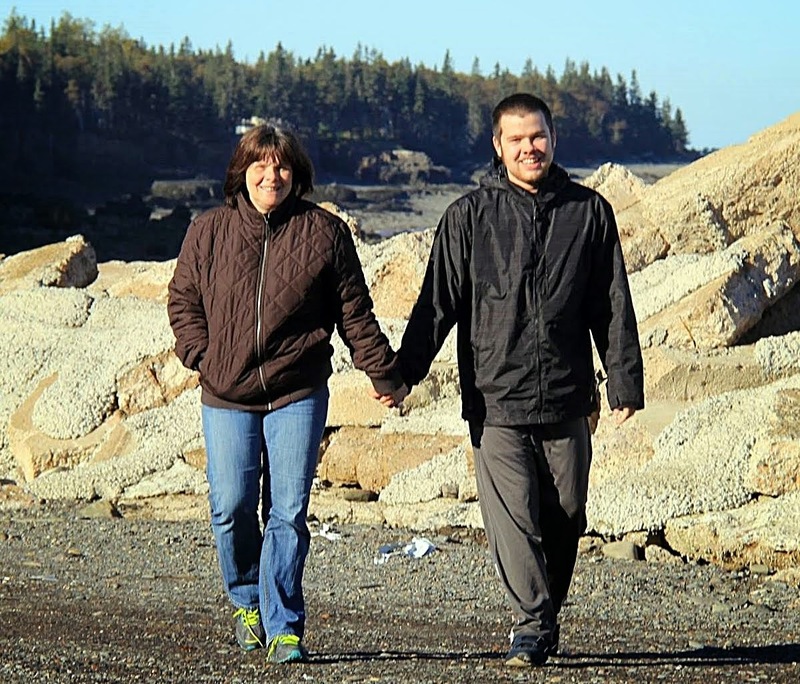 By age 2, Owen still was not talking and at 27 months, Amanda got the diagnosis - autism. 'You know, it really wasn't a surprise,' Amanda said. 'You still have that hope that the doctor will tell you he's fine, but I knew. I knew all along.' ... Owen is non-verbal. The few words he once knew, he has never spoken again. About 25-30 percent of children with autism say some words at 12-18 months, but lose them, according to the Department of Health and Human Services Centers for Disease Control and Prevention's Web site. Another 40 percent of children with autism do not talk at all. Others with autism have relatively good verbal skills. Some may be able to speak, but not form words into meaningful sentences; others may repeat the same phrase over and over again. Parents seeking to better the lives of their autistic children must overcome many obstacles including prejudice and ignorance of those who blame them for their children's behaviour. Bettleheim's twisted theories no longer prevail, at least not openly. But as a lawyer I have advocated for families whose parenting skills in raising their autistic children are questioned by family service and child welfare bureaucrats with no real experience or knowledge of autism or what it means to raise an autistic child. In the everyday world some strangers will still look on disapprovingly when your child engages in public tantrum or other "odd" behaviour. A further obstacle arises from those who should know better, the few parents of autistic children and some high functioning autistic adults, who glorify autism; presenting it as a positive even superior aspect of the human condition. These "posautive", or "neurodiversity" advocates react with outrage when other parents try to present the whole truth about autism. They reacted angrily, and shamefully, when parents in the Autism Every Day video told their stories. These brave and caring parents were accused of staging scenes for the video and mocked as engaged in self pity parties. All because they told the world the truth about their children’s autism. Parents do not need self appointed internet autism experts from afar to tell them to find joy in their children. Nor do we need them to falsely tell the world that autism is all joy and wonder. It is not. Autism is a serious neurological disorder and the realities of life for autistic persons, particularly severely autistic persons, and their families can be hard. Parent advocates do not need sympathy or pity from the "posautive" crowd. Nor do we need their support. What would help is if they ceased creating a false picture of the reality of autism - as experienced by many autistic persons and their families. 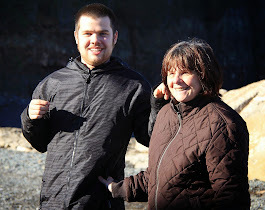 The photos above portray the joy of living with my severely autistic son Conor, age 11 - a quiet moment with Nanny, some roughhousing fun time with Dad. But the third picture is that of a window broken by Conor this past Friday, broken with his hand as he rushed from one end of the house to the other. He cut his hand, though not seriously. The window was replaced (with car windshield type glass). But the fact remains that he could have hurt himself badly. And the fact remains that danger and injury are ever present realities that have to be contemplated much more frequently with our autistic son then with his brother who is not autistic. And it does become expensive repairing and replacing. My son's life experiences and prospects are not the same as the high functioning internet essay writers. His will be a life being cared for by others. After I am deceased I will not be able to fight for him or otherwise ensure that his best interests are respected. Conor is a joy, a great and tremendous joy, to our family. That is why we fight for his best interests now against immovable bureaucracies and against the false pictures of autism painted by internet autism glorifiers who do my son no favours with their false pictures. Everyone in the Fredericton area with an interest in autism is encouraged to come out and support Autism Connections Fredericton and the cause of autism. 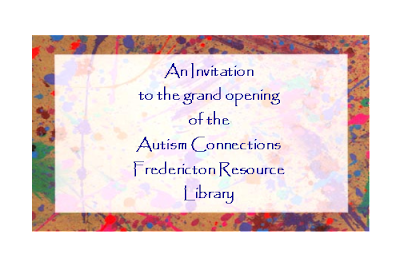 Premier Shawn Graham and Fredericton MP Andy Scott are scheduled to attend the opening of Autism Connections Fredericton. Autism in the UK - Will PM Tony Blair Take Action? In Canada our Prime Minister Stephen Harper is oblivious to, if not outright hostile to, the needs and interests of autistic children and adults. In the UK though, there is an air of optimism that British Prime Minister Tony Blair intends to act to help the cause of 587,900 people with autism and Asperger's Syndrome in that nation. Autism is an international health crisis. It will be great to see the UK's autistic population received better health, education and residential care. Hopefully, if more national leaders take decisive action, Canadian Prime Minister Stephen Harper might also be shamed into action. The needs of the 587,900 people with autism and Asperger's Syndrome went straight up the political agenda when Prime Minister Tony Blair met with autism campaigner Ivan Corea and Lee Scott MP for Ilford North in the Prime Minister's Office in the House of Commons on Wednesday 25th April. Autism is on the legacy agenda of Tony Blair who leaves office in the summer. Ivan Corea of the Autism Awareness Campaign UK presented the Prime Minister with The Autism Report calling for an urgent review of autism services for parents, carers and people with autism - the report highlighted the crying needs of people with autism in education, health,specialist speech therapy and respite care across the United Kingdom. The Autism Awareness Campaign UK was set up in 2000 by parents and carers Ivan and Charika Corea who have a 11 year old son, Charin who has autism spectrum disorder. Since then they have been campaigning for better public services for all people with autism and Asperger's Syndrome. The Autism Awareness Campaign UK has called on the Prime Minister to launch a 10 year program of action and a national strategy on autism. The call for an urgent review of autism services was backed by three leading figures of the charity world in the United Kingdom: Dame Stephanie Shirley Chair of Autism Speaks and The Shirley Foundation, Colin Headley, Chief Executive of the Disabilities Trust and Julie Spencer-Cingoz Chief Executive of the British Institute of Brain Injured Children. Several community organisations and organisations from faith communities also supported the need for a review. A copy of the National Autistic Society's Make School Make Sense Campaign was also presented to the Prime Minister by Lee Scott MP. Lee Scott, the leading parliamentarian, is championing the cause of autism in the House of Commons.Scott launched a landmark debate on autism in Westminster Hall on 7th March this year. It is now regarded as one of the most important debates on autism in parliament - he also quizzed Tony Blair on autism in Prime Minister's Questions (PMQs) on 21st March. Scott has given real impetus to the autism debate in Westminster. Ivan Corea discussed the need for a 10 year program of action with the Prime Minister - The Autism Awareness Campaign UK are calling on the on the British Government to undertake a 10 year program of building specialist autism schools, building autism units in mainstream primary and secondary schools, tackle the failure of some secondary schools in bringing in educational strategies to deal with autistic children in a mainstream setting, access to further education and higher education, labour market opportunities for people with autism and to tackle the whole question of bullying and autistic children, the provision of recreational activities for autistic children. There is an urgent need for ring fenced funding for autism services in the UK. Autism Campaigners are also calling on the Government to launch data a collection program across the UK to determine the exact number of people with autism. Campaigners are unsure if there is proper data collection across the UK to determine exact numbers of adults and children with autism and Asperger's Syndrome. Ivan, Charika and Charin Corea A campaigner who represents the rights of people with autism met with Tony Blair in Parliament today. Ivan Corea, Chair of the Autism Awareness Campaign UK, wanted to thank the Prime Minister for helping to bring the disorder into the public eye. Autistic spectrum disorders are estimated to touch the lives of over 500,000 families throughout the UK. 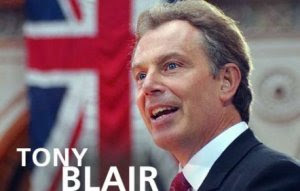 "Tony Blair is the first sitting Prime Minister in living history ever to talk about autism in the House of Commons and outside parliament. "I would like to commend the Prime Minister for having the courage of his convictions for speaking out on autism." The Autism Awareness Campaign UK was set up in 2000 to lobby for better public services for parents, carers and all people with autism and Asperger's Syndrome. Ivan and his wife Charika paid tribute to the inspiration behind their tireless campaign - their 11-year-old son Charin who has the disorder. "Charin has been such a blessing, we marvel at the way that he has become an overcomer, rising above the barriers and the label." New Brunswick and other Atlantic Provinces have strong historical ties to Ireland as many of our citizens arrived here escaping the destitution of mid-19th Century Ireland. Their descendants, including the occasional autism blogger, form a significant part of the local population today. We also have in common a reluctance on the part of government decision makers are to take the necessary action to provide needed ABA based educational instruction to autistic persons. Several hundred parents and supporters have protested outside Leinster House over the Government's failure to properly fund applied behavioural analysis schools for autistic persons. Three hundred and forty-seven black balloons, one for each child currently on waiting lists for ABA schools, were released into the air outside the main gates of Leinster House. Irish Autism Action spokesperson, Mark De Silvo, said the Government is out of touch when it comes to education for those with autism. entire process when it was voted on in the House of Commons. dedicated funding for a National Autism Strategy in the next budget. 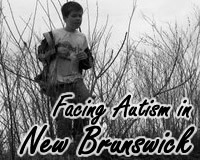 Fredericton's Daily Gleaner has long been supportive of the cause of autism in New Brunswick and once again it has stepped up to the plate with an editorial calling on the Liberal government of Shawn Graham to fund autism therapy past the current 5 year age cut off and into the school years. Not just because Premier Shawn Graham promised to train 100 TA's and Resource teachers a year at the UNB-CEL Autism Intervention Training program but also because it is a good investment which will defray the costs to society of additional care for autistic children as they age and costs incurred by the stresses leading to marital breakdown. The Gleaner has offered sound advice. Hopefully, Premier Shawn Graham will heed such advice and honor the commitment he made as part of his campaign to become Premier. Parents of autistic children are in a race against time. It’s a race in which they are heavily handicapped with too many burdens to carry, too much worry on their shoulders and far too many roles to fulfill. They must be not just mother, father and all the chauffeuring, chefing, cleaning, dressing and boo boo-kissing that entails but also teacher, social co-ordinator, mentor and the many other functions needed to help their autistic child cope. And as the province has failed to fulfill its promise of funding training for support workers for autistic children, parents must also play the part of fundraiser to pay for the special treatment that can literally change an autistic child’s life. The Liberal government promised to pay for autism intervention training for 100 teacher’s assistants and resource teachers a year for four years. That would help autistic children have a chance at working with a specially trained teacher’s assistant. Currently, applied behavioural analysis intervention therapy is the most popular and successful therapy for autistic children. It’s a program of intense therapy which, when started early on, can help autistic children reach their full potential. The government funds the therapy for pre-school age children, but once the child enters kindergarten, the funding stops. And then there is nothing. So desperate parents struggle to pay for the therapy which can cost more than $50,000 a year. And that means holding benefit dances and any other fund-raising event they can think of on top of all their other tasks. Election promises aside, funding this therapy is a good investment. Autistic children who grows up to be severely autistic adults not only have a low quality of life, they cost the system more money. Helping autistic children reach their full potential, translates to autistic adults who will be better able to care for themselves. Doing whatever is necessary to support parents of autistic children is also a good investment. When parents are exhausted and stretched to their limit, the whole family suffers. Marriages break down, other children come off the rails, some drop out of school. There’s a whole slew of expensive problems that go with family breakdown. Among the Liberal government’s election promises was a little one about self-sufficiency, one that’s getting all the attention. But if we are not all on the road to self-sufficiency — and that includes autistic children — none of us will get there. Suzanne Wright and Autism Speaks are raising autism awareness around the globe. The information presented in the following article is basic and to the point. Autism is not a literary metaphor or a different cultural viewpoint, it is a neurological disorder characterized by a range of very serious deficits. Children with autism can be aided immensely by behavioral interventions. But parents and professionals have to understand this point and act promptly and decisively. Autism awareness, not misleading rhetoric, is critical to helping autistic children whatever their country of residence. AUTISM strikes without any discrimination of ethnicity, class, geography, gender or race, said Autism Speaks’ founder, Suzanne Wright, yesterday during the Second Annual International Forum on Children with Special Needs in the Shafallah Center. Also speaking on the occasion were Ad Council’s executive vice president and director of client services, Priscilla Natkins and Autism Speaks’s chief science officer, Andy Shih. Referring to autism as ‘an urgent global health crisis,’ Wright said that this fast growing, serious developmental disorder, has become an epidemic which is found in one of every 166 children in the United States. “Though the causes are unknown, it can spread worldwide without any discrimination,” she explained. The session, on the urgency of bringing Autism epidemic awareness through public service advertising, began by screening a documentary entitiled, ‘Autism everyday’. The daily lives of eight autistic children were screened, along with their parents’ apprehensions. The children, all above three to four years, required constant attention and were seen restless. The main symptom was ‘stimming’, a repetitive body movement that self-stimulates one or more senses in a regulated manner, some of them, being grinding teeth, jumping on toes, head banging and scratching. The child makes absolutely no eye contact and many of them stopped speaking after a particular age. Simple tasks like dressing, brushing and eating by themselves took hours and a mother agreed to this, saying, “it took me two years to teach my son to put his shirt on”. There have been instances when a child affected by autism had not slept for two to three weeks. Researches say that 80% of the time, parents with an autistic child end in a divorce, as they are equally helpless and cannot cope with the emotional, and financial issues. Some of the measures taken for the care of children diagnosed with autism, are behaviour therapy, music therapy, physiotherapy and speech therapy, most of which are done at home. The parents were apprehensive, as these treatments were expensive - as high as $100 per hour. Suzanne Wright, who herself has an autistic grandson, Criston, said that grandparents also play an extraordinary role in the care of autistic children. She exhorted that they should provide support to their children to raise the diagnosed child. Wright said that autism can be diagnosed when children do not exactly meet their milestones, or meet them at an unusually early time, such as sitting up before six months and walking before 10 months. Wright said that raising awareness was the corner stone of her mission. Priscilla Natkins spoke about the role of media and and the effective public service campaigns that were raised. Some of the advertisements screened urged the audience to know more about autism, through their website. The campaigns launched have successfully increased parental knowledge. It was said that the earlier the awareness, the earlier intervention will help. The advertisement council relied on pro bono services from advertising agencies and the media. The target audience was parents of newborn, and the secondary target being doctors and health care professionals. Andy Shih, spoke about the research they in this field. He also talked about the importance of scientists all over the world linking and working together to find a cure for this neurological disorder. The Vancouver Sun is continuing its excellent six part series on autism with an article on early signs of autism in toddlers. One of the items listed in the article that we noted when Conor was young (there were several causes for concern early on with Conor) was a failure to play peek-a-boo at any point as a toddler. ( We did not know about autism we were just concerned ). A big one was his failure to learn to say mommy, daddy and other basic words. He also used to play for loooong periods of time sifting sand. He would hold one of those small toy plastic basket balls in his hand for hours. We have several pictures of him asleep in the car seat his hand grasping one of the primary colored plastic basketballs. We had an indoor swing set and Conor would lay with his face pressed firmly into the side of the set. But it was the failure to develop any significant language or show any substantial recognition of mom and dad that led us to seek medical attention for Conor and ultimately led to his initial diagnosis of PDD-NOS which was subsequently changed to Autism Disorder. A decade ago, autism diagnosticians developed CHAT -- the Checklist for Autism in Toddlers, designed to flag symptoms of autistic behaviour. Does your child enjoy playing word/action games with others, such as peek-a-boo? Does your child show emotions that fit the situation? Is your child interested in what’s going on around him or her? Does your child enjoy playing with many different toys, in many ways? Is your child beginning to enjoy pretend play, taking turns and imitating other people’s play? Is your child interested in approaching other children and joining a group? Can your child easily indicate his or her interests and needs through words or sounds? Is your child talking as you would expect? Does your child point to, ask for, or try to show you something? Does your child look at you when you talk to him or her? Does your child imitate words or sounds? Does your child imitate gestures and facial expressions? Is your child comfortable with changes in routine? Does your child hear and react to sound as you would expect? Does your child enjoy being touched and touching other things? Does your child move his or her hands like other children? Does your child see and react to things as you would expect? Does your child eat and drink a variety of foods and beverages? Point to a toy and say, “Look, there’s a ------.” Does your child look in the right direction? Use two cups and spoons. Invite your child to make juice with you -- mix, pour and drink. Does your child participate? Ask your child to show you something in the room. “Show me the ———— ?” “Where’s the ———— ?” Does your child turn and point or touch the items? 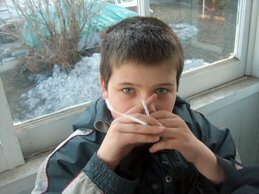 I have blogged previously on Hpyerbaric Oxygent Treatment as a treatment for autism. At this point in time HBOT is NOT considered to be an evidence based treatment for autism. There is a study going on which MAY or MAY NOT change that fact but for the present, as the authorities reviewed in the Chicago Tribune indicate, there is NO evidence to support the effectiveness of HBOT in treating autism. HONOLULU -- Kalma Wong has tried almost everything for her two autistic children: special diets, intense behavioral therapies, flying in experts from the U.S. mainland at exorbitant costs. Some efforts have yielded modest success. Others have done next to nothing. But like many other parents of the more than 500,000 children that the Centers for Disease Control estimates to be autistic in the U.S., Wong has vowed to keep trying until she pinpoints the treatment that most helps her kids. Her latest attempt is one of the most long-shot therapies yet, a protocol some doctors praise but that others declare to be a waste of time that gives desperate parents false hope and exploits them financially. It is called hyperbaric oxygen therapy, a treatment in which pure oxygen is delivered to patients confined to pressurized chambers for an hour a day for several weeks. The theory is that the extreme doses of oxygen essentially the same kind of treatment that has been used for decades to cure divers with decompression illness will spur dormant or damaged neurons in the brain to become reinvigorated or even transformed. In the case of children with autism, considered the fastest-growing developmental disability in the U.S. today, the new treatment is claimed to have produced some stunning results: transforming non-verbal children into fluent speakers; helping children hypersensitive to outside stimuli become calm enough to attend public schools; changing kids once adverse to any personal interaction or touching into affectionate toddlers. Markley said she has treated more than 30 autistic children with HBOT and "every single child of those 33 had consistent quality-of-life improvements." The improvements, she said, were more pronounced in kids most afflicted by the characteristics of autism: the repetitive behaviors and the impairments in sensory perception, social interaction and communication. Critics argue that no studies have been done that use scientific models such a double-blind testing. They caution that the treatment has been tried only on a handful of children affected with autism nationwide, not nearly enough to draw valid conclusions. "They are making extraordinary claims without extraordinary evidence," Iyama said. Evidence is exactly what supporters of HBOT are hoping to get in the coming months. Beginning in May, the Honolulu clinic, along with some 20 hyperbaric oxygen clinics across the U.S., will launch a formal study into how autistic children respond to the therapy. A total of about 400 children will be included, and the results are to be evaluated by the National Institutes for Health. Other studies are under way that HBOT proponents are closely watching. One of the biggest is a federally funded study on the effects of HBOT on children with cerebral palsy that is under way at Wright-Patterson Air Force Base in Dayton, Ohio. One group watching the outcomes of these studies is the Undersea and Hyperbaric Medical Society, a non-profit group of doctors that investigates scientific claims linked to HBOT. Thus far the group has been skeptical of using HBOT to help neurological conditions such as autism or cerebral palsy. I have on previous comments applauded New Brunswick Premier Shawn Graham and the Liberal government for its promise to train 100 TA's and Resource Teachers a year at the UNB-CEL Autism Intervention Training program. Some TA's and teachers have already received the training but the commitment made during the election campaign by Mr. Graham is being held up now and, it appears at least, that the commitment is in serious danger of being abandoned or watered down beyond recognition, replaced by in house training by the Department or some other "innovative" alternative. While we remain hopeful that the pledge will be honored we are aware of positioning by the Department of Education officials that would see training of much less quality and integrity than the UNB-CEL program offered by the Department. 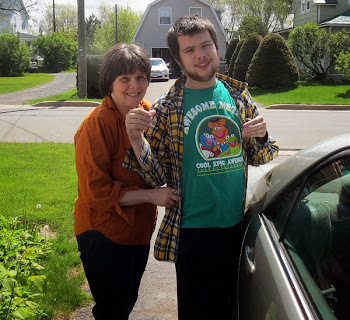 The attached article from the Daily Gleaner here in Fredericton New Brunswick illustrates the predicament faced by autistic children who have been receiving intervention when the turn five years of age in New Brunswick. Tying shoes is a simple task for most eight year olds. But for Austin O'Donnell, it takes a little more practice. 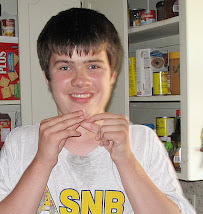 Austin is autistic, and through intervention therapy, he learns many skills that don't come easily to him. Just tying his shoes was broken down into 25 steps to make the task easier for him to remember. But without continuing the therapy, his mother Jennifer O'Donnell worries Austin may lose some of the skills he worked so hard to acquire. The government funds an intervention program for preschool-aged autistic children. Applied behavioral analysis intervention therapy is the most popular and most successful therapy for autistic children. It's not a cure for autism, but it helps children reach their maximum potential. But once the child enters kindergarten, the funding stops. But that doesn't mean the intervention should stop too, said O'Donnell. That means big money for parents who have to hire the intervention workers themselves. For the last three years, O'Donnell has organized a benefit dance to try to raise enough money to be able to hire an intervention worker to spend time with Austin every week. "There are no resources," she said. "I'm a single parent. I've worked two jobs and held the benefit dance for the last three years to split the bill financially. And I'm willing to do that. "If I don't fund raise, he simply won't have it. To me, that's just not an option. I'm hoping at some point that there's going to be a change, where (the government) provides some funding." Austin was diagnosed with autism when he was four, so he only took advantage of the therapy for eight months before the money stopped. "I knew the funding would be cut when he entered school," she said. "I knew that in my mind, but it didn't really hit me that there was nothing. And, when it happened, I just thought quickly, how can I raise money to continue this?" The dance usually helps fund about eight to 10 months of intervention therapy. Most autistic children have a teacher's assistant in the classroom. But they're not all trained for autism intervention. Harold Doherty is with the Autism Society of New Brunswick. 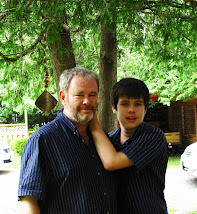 His 11-year-old son Conor is autistic. He said it's important that the intervention therapy follows the children into the schools. One way of doing that, he said, is training the teacher's assistants (TAs) to be qualified to do autism intervention. "We're pushing to get the TAs trained," he said. "If you're going to have a TA anyway, that you need in most cases, why not train them in some way to be effective to help the children learn?" There is a course at the University of New Brunswick that trains resource teachers and teacher's assistants in autism intervention. Doherty said the Liberal government promised that it would train 100 teacher's assistants and resource teachers at UNB per year for four years. This would help autistic children have a chance to have a trained teacher's assistant. Yet, Doherty said, there still hasn't been any move on the promise, and the autism society is worried the government is stepping back, or planning on watering down the promise. But O'Donnell can't wait for the teacher's assistants to be able to take over the intervention work. Austin needs the help now, she said. "He's beginning to get to an age where he's struggling socially," she said. "And that's a big deal because if he's having troubles at school in that way, then it's causing a whole other can of worms. "Not wanting to be at school, and being upset all the time, and not really understanding why he doesn't have friends or why he has such a hard time keeping friends. We've been working on that for the last year." O'Donnell works with her son on evenings and weekends at home, but she said he needs more intervention time than that. She said every little bit of therapy can help her son in big ways. The benefit dance will be held Saturday, April 28, at the Tier II Lounge, above Winners Restaurant on the exhibition grounds at 9 p.m.
Tickets are $20 and can be purchased at Mazzuca's on York Street. 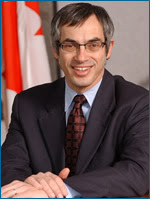 The Honorable Tony Clement Canadian Health Minister has lost his composure and lashed out at FEAT-BC because of its plans to hold him accountable for his inaction in addressing Canada's autism crisis. Mr. Clement expressed his outrage that the FEAT organization would actually organize to bring about his electoral defeat. Mr. Clement accused the FEAT group of being extremists for wanting to amend the Canada Health Act to ensure funding for autism treatment across Canada. Apparently the Liberal and NDP MP's who voted for that precise measure are also extremists in Mr. Clement's narrow view. In expressing his outrage Mr. Clement also declared that he is "the hardest-working minister autism advocates have ever had". How Tony Clement has the audacity to make such a clearly nonsense claims is beyond me. After defeating the motion which would have provided universal coverage for autism treatment in Canada Mr. Clement's government provided ZERO dollars, $0, for autism in its recent budget. Mr. Clement works very hard at doing what he is told by Stephen Harper but there is no evidence that he has so much as lifted a finger to help the cause of autistic children and adults. The hardest-working minister autism advocates have ever had? That claim is a stinker if ever there was one Mr. Clement. Her autism often prompts Kristi Jansen not only to bite her own knees, hands and feet but to pinch and bite her mother Sandy. She would pinch or bite Sandy up and down her arms 'really hard,' her mom says, and even while her mother slept. The following excerpt from Part One of the Vancouver Sun's six part series Faces of Autism portrays the realities of life for many parents of autistic children. Sun columnist Peter McMartin, and photographer Glenn Baglo, are painting a graphic picture of the realities of life with autism. For doing so there will be outrage from the joy of autism crowd, as there was following release and showing of the Autism Every Day video, but Mr. McMartin is speaking the truth and painting an accurate picture of autism realities. The biting and other experiences described in this article have also been part of life in our household and in that of many other families with severely autistic family members. Marriages and friendships come under great strain as the family’s time and energy is gobbled up by the disorder’s demands. Parents of children with autism are not like parents of typical children. This truth is easily said but not easily understood. Depending on the severity of their child’s condition, parents are prisoners to that condition just as their child is. Their other children suffer unintended neglect because the child with autism commands so much of their attention. The following excerpts are from the first of a six part Vancouver Sun series Faces of Autism by columnist Peter McMartin and photographer Glenn Baglo. 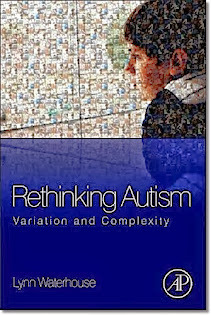 The author is correct to point out the uniqueness of each person with autism. It is also true though, that life with an autism family member and loved one, is an emotional roller coaster with considerable stress. Parents of severely autistic children will be able to relate to much of what is portrayed in this article. 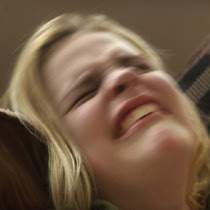 Autistic 14-year-old Kristi Jansen swings from crying to laughing to screaming in a matter of seconds. Her body, home and family members -- especially her mother -- bear the scars of her violent outbursts that have only been calmed through years of expensive therapy. Kristi isn't a typical autistic child -- in fact, there is no such thing, as Pete McMartin and photographer Glenn Baglo discover. What families struggling with the disorder do have in common, however, is intense physical, emotional and financial stress. t is 3:30 p.m. on a Tuesday and Kristi Jansen, 14, of Langley, is just home from high school. She is tall and blond, with the long-limbed athletic build of a middle-distance runner. She is wearing a short jacket, leggings and a camouflage print skirt -- an outfit of combat chic that gives her an artful, edgy look, as if she were the kind of young woman who would gravitate toward the high school drama club. Her mother, Sandy, gives Kristi a Popsicle. Kristi settles on the den couch to watch television and Sandy turns on cartoons for her. Her mother and I go into the living room at the front of the house to talk. And then, without warning, Kristi is screaming. One fundamental point which is repeatedly ignored in discussions, debates and arguments over autism is that "autism" as discussed in the media is a spectrum of disorders which includes autism disorder and other related disorders eg. PDD-NOS, Aspergers. There are many faces of autism, many different characteristics. The Vancouver Sun has published a balanced and understandable overview of autism disorders and promises to present a series of stories portraying different aspects of the spectrum of autism realities. Simply put, there is no one profile that fits those diagnosed with autism. So, to define what autism is, it might be best by pointing out what it is not. IT IS NOT A MENTAL ILLNESS OR A DISEASE. THE CAUSES OF AUTISM ARE STILL UNKNOWN. AUTISM IS NOT A SINGULARITY. It is a spectrum of disorders. 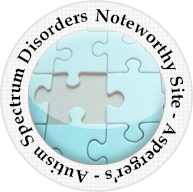 On that spectrum are five related disorders, the three most common of these being classic autistic disorder (AD), pervasive developmental disorder not otherwise specified (PDD-NOS) and Asperger's syndrome. They share some behaviours but not others. Those with AD, for example, are often withdrawn and can be completely non-verbal, while those diagnosed with Asperger's syndrome can have normal verbal and academic skills but have extreme difficulty interacting socially with others. THERE IS NO MENTAL STANDARD OR MEDIAN FOR THOSE ON THE AUTISM SPECTRUM. Some have below-average intelligence, some are average and some are above average. Additionally, mental abilities can be uneven. A person on the autism spectrum might be able to do complex math but be unable to tie his or her own shoes. Some are capable of holding jobs and of living independently or semi-independently; some have the intellectual capacity to work but not the social skills to make their way in the work environment; some must receive 24-hour care their entire lives. "This isn't a sprint. It's a marathon." The initial symptoms, however, can be ameliorated through a combination of intensive early childhood therapy and, it has to be said, the fierce and protective love of parents and family. The story of a severe case, and life at home with an autistic child. Two mothers, their tears, and the sacrifices they must make living with autism. How the health care system discriminates against those on low income. Immigrants and the special challenges they face in dealing with autism. The high cost of therapy, and a mother's determination. 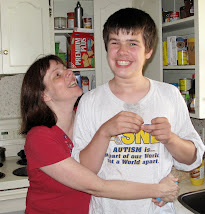 Two autistic teens and their families face an uncertain future." FEAT-BC, which has been at the forefront of autism advocacy in Canada, has heard the message from the Supreme Court of Canada. With two SCC decisions in Auton and Deskin-Wynberg denying the courts as effective avenues for seeking equality protection for autistic children in hand the time is now for political action and FEAT-BC is prepared to jump into the fray - again. The strategy recognizes the need for an effective concentration of effort and resources by targeting ridings of vulnerable politicians who have acted against the cause of autism in Canada. As the attached article from MacLean's illustrates, FEAT-BC is very interested in one Tony Clement, the federal Health Minister who has fought against Federal government help for autistic persons in Canada , and who did not win by much in his last election. Watch Out Tony! What goes around comes around! Imagine a Tory who won a seat in the last election by only a few votes. Who would such an MP least want to have to fight, alongside the usual opposition rivals, to survive in the coming campaign? How about enraged, well-organized parents who accuse Ottawa of failing to assure their children of essential medical care? They might not know it yet, but this unsettling scenario faces certain carefully targeted Conservatives. Parents of autistic children plan to take aim at selected government MPs who squeaked in last time by two per cent of the vote or less. And the most vulnerable MP of all could be the architect of the federal autism policy that has the parents so upset -- Health Minister Tony Clement, who won his Ontario riding of Parry Sound-Muskoka last time by a mere 29 votes. Autism groups are cagey about revealing details of their plan of attack before an election is on. But one Ontario activist told Maclean's, "Clement is like a pear ready to drop from the tree." B.C. 's Families for Early Autism Treatment was active in a few closely fought B.C. ridings in 2006. Some of the group's core members, including director Jean Lewis, are scheduled to attend a meeting in Halifax on May 26 to pass along tactical lessons to East Coast parents of autistic children. But if Stephen Harper's minority falls before then, the B.C. firebrands plan to cancel their Halifax event and make a campaign detour to Ontario of up to two weeks. "We will certainly be in Parry Sound-Muskoka," Lewis said. The B.C. group and their allies demand federal action to extend medicare coverage to full early autism treatment, which can cost $35,000 a year for young children. Successive federal Liberal and Tory governments have held that deciding what conditions are insured is up to the provinces. Lewis says autism activists will back individual candidates who support their position, but not parties. "When the Liberals were in power," she said, "they were as pathetic as the Conservatives are now." OTTAWA – It turns out that taxpayers are picking up the tab for Prime Minister Stephen Harper's personal primper. After two days of ducking media and opposition questions, the Conservatives finally revealed Wednesday that Michelle Muntean is on Harper's government staff. But the revelation raises two more big questions: How much is she being paid? And why is there no government record of her employment. Harper has been travelling with his personal image adviser for major domestic and international events – most recently at ceremonies at Vimy Ridge in France last week. Muntean helps him perfect his look, including managing his wardrobe and general grooming. News that Harper uses a style maven had the opposition both frothing and laughing. "Does the prime minister have difficulty sleeping at night wondering whether he should wear the light blue socks or the dark blue ones?" New Democrat MP Judy Wasylycia-Leis asked in the House of Commons, to loud hoots and claps. "Can the prime minister tell us who pays for his fashion adviser, and how much that costs?" Liberal MP Garth Turner also took a shot at his former boss: ``It's a legitimate question. I think it's an embarrassing one to him because he likes the cowboy image and not all cowboys wear powder." Government House Leader Peter Van Loan wouldn't say who pays for Muntean's services. "Mr. Speaker, the prime minister maintains a tour staff, as do all prime ministers," Van Loan told the Commons. But a government source later confirmed that taxpayers are on the hook for Muntean's services – although the Conservative party pays her expenses. The Canadian government has taken no specific action on autism. It did not dedicate a single penny toward the cause of autism, autistic persons or families with autistic loved ones. It does not display any sense of urgency, even little awareness of the autism issues confronting so many Canadians. Some provincial governments have made strides, with resistant bureaucracies moving when pushed by parent advocacy. But there is very little action anywhere in Canada to address the serious needs of autistic adults. Police forces and other first responders have little or no training in autism and how to deal with autistic persons. BY JOSEPH J. ROBERTS JR. The diagnosis can be the most devastating, overwhelming and confounding words a parent might ever hear: "Your child has autism." In an instant, all of a parent's joyous dreams are brutally crushed; the child's prospects for a normal life are virtually extinguished. The child is in a neurologically compromised world, exhibiting poor eye contact, diminished communication skills and peculiar repetitive behaviors. The body is there, but the inner soul has vanished because the child's mind has gone haywire. The emotional toll for the parents and other family members is incalculable. There are new challenges in providing care. There are financial strains from paying for costly therapies often not covered by insurance. There is enormous stress and a gnawing pain that comes from the fact that nobody knows why autism occurs and — for the moment, at least — nobody knows of a cure. These private sorrows are the harsh reality of autism, a baffling, mysterious developmental disorder that appears to be on the rise in New Jersey and elsewhere. A new study by the federal Centers for Disease Control and Prevention recently determined that one out of every 94 New Jersey children has some form of autism. Nationally, the CDC study determined one out of every 150 children is affected by autism spectrum disorder, with a new child being diagnosed every 20 minutes. These rates are radically different from the nation's statistical figures from 10 years ago, when it was felt that one out of 500 children had autism. Nobody is sure whether autism rates are rising. It could be that medical providers, parents and educators are doing a better job of identifying and classifying cases. But the numbers also could be rising because of something in the environment or in human genetics. Whatever the reasons, autism has become a significant challenge for everyone. It is now the country's fastest growing developmental disability, more prevalent than childhood cancer, juvenile diabetes and pediatric AIDS combined. It's a problem that commands greater public awareness and greater attention by all sectors of society — in government, education, medicine, social services, scientific research and our public safety networks. Recognizing this situation, the Assembly recently passed a seven-bill package aimed at improving the detection, treatment and public awareness of autism in New Jersey. These measures will help address some of the challenges being presented by increases in the number of children being diagnosed with autism and a corresponding surge of autistic young adults who are now aging out of the state's special-education system. Set a goal for detecting autism within the first three years of a child's life and provide training for pediatricians to better identify kids with autism. The earlier autism is detected, the better a child's chances of living a more productive adult life. Create a new, separate task force on adults with autism so the state can better attend to their housing, job training and long-term care needs. Provide special training of police officers, firefighters and emergency medical technicians to recognize and help autistic individuals. Establish a centralized statewide autism registry to keep better track of diagnosis rates and help in identifying ways to provide assistance to families that have autistic loved ones. Restructure the Governor's Council for Medical Research and Treatment of Autism to provide more diverse representation and views from the state's autism community. Extend the funding mechanism the state created four years ago to finance grants for autism research and treatment programs. This will ensure uninterrupted assistance to help the state address autism past 2008. Require the state education department to develop recommendations for raising autism awareness among current and prospective teachers and require teacher certification programs to include training on handling autistic children. Complementing this package, Gov. Corzine recently proposed a significant increase — $5 million — in state support for autism-related programs and initiatives. And the Assembly has advanced another measure urging the state Department of Health and Senior Services to study whether ultrasounds may be a contributing factor to the state's rising autism rates. While our state has long been on the cutting edge of diagnosing and treating autism, the families touched by autism command our compassion and a re-energized commitment to ease the long days until science unlocks the mysteries of this disorder and produces a cure. 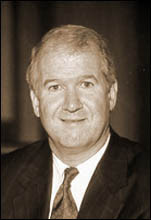 Joseph J. Roberts Jr., D-Camden, is Assembly speaker. Autism or no autism Conor is pretty handy with some of our entertainment technology. He is better than his dad at manipulating the DVD/VCR equipment and he loves to play on the computer. He will sit (usually quietly) for as much as an hour at a time playing on the PBS Kids site. In the photo above bottom you can see on the toolbar folder bookmarks for May & Mieguel, Big Birds, Dragon Tales and just the tail end of the Friends book mark. All these bookmarks were made by Conor without our involvement or instruction. He may well have been taught how to bookmark at school but it is still a boost for us to see him able to use this technology for his amusement. Will Liberals Broken Autism Promise Come Back to Haunt Them? The Supreme Court of Canada has handed the autism football back to Ontario Premier and Liberal leader Dalton McGuinty turning down the Deskin Wynberg appeal without reasons but now handing parents of autistic children two SCC defeats and making it clear that Canadian courts will not provide effective Charter equality rights to their children. There are many assumptions built into such reasoning but it is hard to reconcile any real notion of equality rights with a deference that allows political decision makers to do as they wish with respect to some of the most vulnerable members of society. 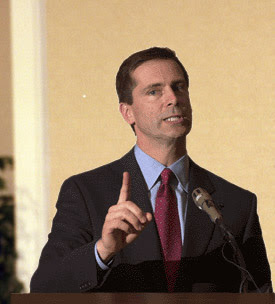 In any event now, in Ontario, it is back to Dalton McGuinty. "During the 2003 provincial election, families with autistic children were acutely aware of the government’s policy and for them it was a hot button issue in the weeks leading up to the vote. In a nutshell, they were incensed with the Ernie Eves Progressive Conservatives and a government practice that cut off funding for IBI therapy when a child turned six. As the argument went, it was discriminatory, a violation of these children’s rights under the Charter of Rights and Freedoms. As it was, the issue was very political. The Tories had to defend their record. The NDP and the Liberals lined up to attack it. On the campaign trail, Liberal Leader Dalton McGuinty was dropping promises across the province, endearing himself and his party to Ontario voters. One of those promises was to extend government support of IBI therapy for autistic children past the age of six. This is what the parents of autistic children wanted to hear. They started to put their support behind McGuinty. They talked to their families, neighbours and friends and encouraged votes for the Liberal party. The Liberals won the election, and then reneged on the promise. Not only did McGuinty fail to meet the pledge, his government has spent an untold amount of taxpayer money (the government has refused freedom of information requests for the amount) defending its autism policy against the lawsuit from angered parents feeling, quite rightly, betrayed. Put this one in the file with the Liberals’ 2003 campaign promise not to raise taxes. It should also put to rest any questions about why recent polls have McGuinty trailing PC Leader John Tory by 10 points when questions about leadership are asked." "It needs to be in schools," Eberts said, dismissing the province's ABA plan as "a wishy-washy approach that’s offered by people with no training." Can a leader who backs out of a promise to do the right thing by autistic children be trusted to lead a province? If he will betray the weak and vulnerable who can trust him? In New Brunswick much progress has been made for pre-school autistic children. Some funding is now available for evidence based autism interventions and agencies have been established, and measures implemented, to provide accountability in delivery of intervention services. Improvements are also starting to be made to provide autism trained teacher assistants and resource teachers to provide autistic school children with a real education. But for youths and adults with autism who are in need of decent, competent residential care and treatment nothing has changed since the fall of 2005. That was when Canada became aware that New Brunswick is so lacking in residential facilites with properly trained personnel and in treatment for autistic youths and adults that we truly literally house some of our autistic residents on the grounds of penal institutions. There has been a provincial election in the period since 2005 and a new governing team is just now getting its full grip on the reins of power. Nonetheless the time is long overdue for New Brunswick to start providing decent residential care and treatment for its autistic youths and adults - right here in New Brunswick. As my son ages, he is now 11, I continue to fight for improved health, education and residential care for him and autistic persons on all points of the spectrum. In doing so I have not lost sight of the critical importance of early intervention for improving the life prospects of autistic children. I am not, and never will be, one of those who believes that in order to accept, love and find joy in my son I must accept and find joy in his autism. To parents of newly diagnosed autistic children I say over and over again - do NOT listen to the sometimes irrational voices that tell you to accept and embrace your child's autism. Autism is by definition a disorder, a condition which brings with it many deficits in thought, communication, and behavior. True there are some savants and there are many high functioning autistic persons who have social deficits and some communication limitations. But there are also many lower functioning autistic persons for whom the reality IS life in residential or institutional care. It can be a life threatening and dangerous condition. Love your child as he or she is, complete with his or her autism. But do not mistake your child for his or her autism. Fight to improve your child's lot in life no matter how many hand wringing, joy of autism advocates tell you that you are suppressing and rejecting your child. They will not be there to help your child when he bites himself repeatedly, when she wanders out the front door only to be found hours later, or when you are sick, elderly, infirm or deceased. They are interested in their agenda not in your child. The most important way to help improve your child's abilities is to get as much behavioral intervention as intensively and as early as you can. ABA based intensive intervention meets the evidence based standards of federal, state, provincial, professional and academic autism organizations across Canada and the United States. To date it is the ONLY intervention that meets those high standards. I am not alone in counseling new parents to seek as much early intervention for their autistic child as possible. There are many others. The following letter from the Journal-Standard really struck me because it was from the mother and father of an 18 year old young autistic man who also urge parents to seek early intervention for their autistic children. “Autism is a complex neurobiological disorder that typically lasts throughout a person's lifetime. It is part of a group of disorders known as Autism Spectrum Disorders (ASD). It occurs in all racial, ethnic, and social groups and is four times more likely to strike boys than girls. Autism impairs a person's ability to communicate and relate to others. It is also associated with rigid routines and repetitive behaviors, such as obsessively arranging objects or following very specific routines. Symptoms can range from very mild to quite severe. Autism Spectrum Disorders can usually be reliably diagnosed by age 3. Parents are usually the first to notice unusual behaviors in their child or their child's failure to reach appropriate developmental milestones. Some parents describe a child that seemed different from birth, while others describe a child who was developing normally and then lost skills. Pediatricians may initially dismiss signs of autism, thinking a child will “catch up,” and may advise parents to “wait and see.” New research shows that when parents suspect something is wrong with their child, they are usually correct. If you have concerns about your child's development, don't wait: speak to your pediatrician about getting your child screened for autism. 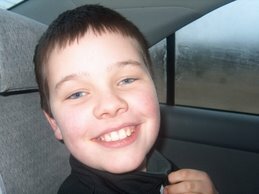 For further information about autism, please go to www.autismspeaks.org. Also, on their Website is a very informative 13-minute segment entitled, “Autism Every Day.” It gives an accurate portrayal of what life is like for an individual with autism, as well as how it affects the family. The Vancouver Province has issued a call for a national autism strategy, including an amendment to the Canada Health Act to include autism as an insured health service. One omission from the Province's statement is the need to address the plight of autistic adults particularly those living a custodial existence in mental health care and residential facilities. 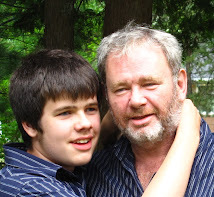 Still the Province's call for a national autism strategy provides much needed support in the struggle to improve the lives of Canada's autistic population and is appreciated by this father of a severely autistic boy. Advocates for the estimated 200,000 Canadians suffering from the neurological disorder known as autism suffered another setback last week in their campaign for greater government support. A court battle launched by 28 Ontario families to try to get their provincial government to fund treatment for their autistic children ground to a halt when the Supreme Court of Canada declined to hear arguments in the case. The help they get depends on where they live. Alberta, for example, pays up to $60,000 a year to age 18 for treatment. But B.C. pays $20,000 a year to age six and only $6,000 a year thereafter. B.C. Liberal MP Blair Wilson, who campaigns for autism victims, says such inequity is unacceptable. We agree, and endorse a Senate committee's call last month for a federal-provincial conference to develop a national strategy for autism, which now affects one in 200 children. The plan should include an awareness campaign, plus more money for research and tax breaks for victims' families. One sweeping solution would be to amend the Canada Health Act to include autism as an insured health service. We are well aware that the additional burden on health costs would be considerable and would have to be weighed against competing priorities. But, as a caring nation, we have a moral obligation to do what is right. 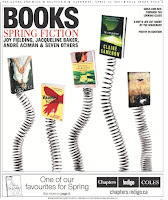 Today was a day of excitement in the Doherty household as the Globe and Mail published its Spring Fiction Books issue and included for review Goody Bledsoe by Heather Doherty, mother of two fine boys, including a fellow named Conor who appears from time to time on this autism blog site. New Brunswick government officials who have been involved on the other end of my autism advocacy efforts over the past 8 years have been rumored to refer to me be a variety of names. Now, I guess I will simply be known as Heather Doherty's Husband. Goody Bledsoe and her little brother have been on her aunt and uncle's New Brunswick farm just three days. In the face of Aunt Jackie's drill-sergeant authority, it's the pigs and Uncle Nathan who offer the warmer glimpse of a world that might be called home. By this point (20 pages in), there has already been ample cause for tears, none of them quite spilling. The emotional control of Goody and her terminally ill mother is also their author's containment. Sadness brims, but is held in check by Doherty's ironies. I was hooked. For anyone in the Fredericton area Heather will also be reading from Goody Bledsoe at the Nashwaaksis Public Libarary on April 19, 2007 beginning at 7 pm. Instructing anyone who needs calming, autistic or otherwise, to count 1, 2, 3 and take a deep breath is an old well known technique. I mention it because it has been a particularly effective technique with Conor who is severely autistic and can get pretty wound up at times. Conor loves his numbers, likes to do addition and "count by's" eg. count by 10,000"s, count by 3's, count by 7's etc. I have found that stretching out the 1,2, 3, breathe with 2,4,6, breathe, 3,6,9 breathe up to 10,20,30 breathe keeps Conor's interest in the activity and makes the 1,2,3 breathe calming technique even more effective. An old trick but one that is often very helpful. Autism Urgency - Assemblymember Tim Gordon's "Better Focus on Autism Now Act of 2007"
The number of children diagnosed with autism is rapidly increasing. According to a study from the Centers for Disease Control and Prevention, nearly one in every 150 U.S. children has an autism spectrum disorder. These numbers are startling - and this disability is affecting more and more families. Twenty years ago autism was a very rare case. Today autism is becoming a frightening statistic in every community. 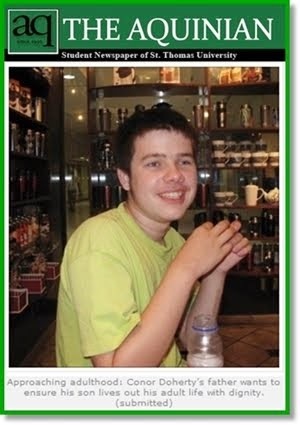 Recently, the untimely, tragic death of Jonathan Carey, an autistic child from Bethlehem, has made clear the need for strong measures to protect special needs children and do whatever it takes to prevent negligence. If there is a benefit from this tragedy, it is that Jonathan's parents, Michael and Lisa Carey are remarkable advocates, who are relentlessly fighting for a positive change to come from their family's loss. - Create a cohesive and coordinated approach to serving the autistic population within the numerous state agencies. I also support legislation to enact "PJ's Law" which directs the commissioner of education to require school bus drivers and school bus attendants on a bus transporting a child or children with a disability to complete training, twice a year, on the special needs of children with disability (A.1817). With Autism Awareness Month upon us, I can't imagine a better time to encourage everyone to find out more about autism and how you can help a child with the disability. Earlier this month, the Center for Autism and Related Disabilities at the University at Albany opened in a new, larger location. With 4,000 square feet at 1535 Western Ave. in Albany, the new center is three times larger than the previous location in the university's social science building. The center offers three training to local parents and educators in a 12-county area. It is funded with state and federal grants and no fees are charged to parents and educators. The center offer up-to-the-minute education for those caring for children with autism. There is in the world autism community, at least on the internet component of that community, a group which portrays itself as the true voice of autism. It is essentially an internet based community comprised of some high functioning autistic persons, some parents of autistic children, and some "professionals" including some psychiatrists and educators who oppose attempts to treat or cure autism. Self described as the Neurodiversity movement this group poses as human rights advocates for the autistic but often resembles a hate group in its personal attacks and demonization of any parent or group which attempts to find and fund treatments and cures for autism. Any mention of the serious challenges of the more severe forms of autism is attacked by the high fucntioning autism internet essayists. Even mentioning that some autistic suffer from cognitive deficits, even the use of the expression "low functioning autism" is met by hostility from the Neurodiversity advocates. Far from being the true voice of autism, Neurodiversity is a false voice; an autism vox falsus. Parents across Canada and the United States and elsewhere in the world have fought hard to seek and obtain a better life for their autistic children through treatment and education. For their efforts they are mocked, ridiculed and demonized by the Neurodiversity movement . The core of the Neurodiversity movement is a number of high functioning autistic persons who do not wish to be cured of their autism. They view their autism as an essential component of who they are as individuals. That is a view point that I can and do respect. They have the right to wish to remain autistic. Where Neurodiversity becomes troublesome is when they fight to prevent parents from seeking cures and treatments for their own children and the demeaning tactics they use in doing so. One of the Neurodiversity internet commentators who is generally more polite than most is Ms. Kristina Chew the mother of a 10 year old autistic boy, who holds a Ph.D and is a classics teacher. Although Ms Chew has in fact employed ABA interventions to assist her son she downplays that fact on her blog site “Autism Vox” where her guest commentators usually present a Neurodiversity anti-autism cure perspective. But, she is admittedly almost always exceptionally polite and diplomatic. That diplomatic bent changed dramatically this past week though with two comments from Ms. Chew about the Don Imus racism controversy. In these comments Ms. Chew made clear her animosity towards Autism Speaks and towards the parents in the Autism Every Day video. "I really don’t have anything to say about Don Imus — I am no fan, to be sure — but living here in New Jersey, and my husband being a Rutgers alum — I have been appalled, or just outraged, at his use of “crude, offensive language” about the Rutgers women’s baskbetball (sic) team last Wednesday while discussing their defeat in the NCAA Women’s Basketball Championship. I do not know understand how any national autism organization can be associated with someone who can use such hateful words." 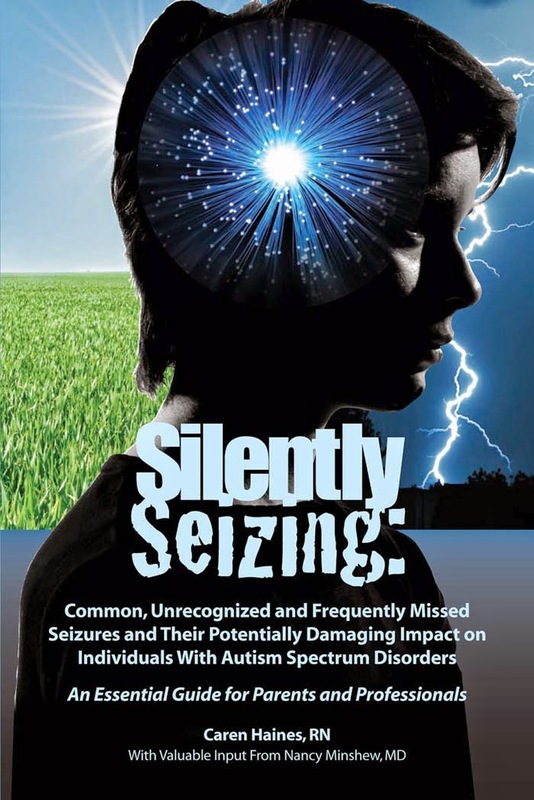 The heinous crimes committed by Autism Speaks? Raising money for research and treatment of autistic children. The Autism Every Day video consisted of parents telling of the challenges presented by their childrens’ autism. For that these parents, along with MSNBC and Autism Speaks , have been vilified by the Neurodiversity movement. Until this week Ms Chew and Autism Vox had been polite and diplomatic in expressing her Neurodiversity anti-autism cure sentiments. The language above though removes the pretence of civility from Autism Vox. The use by Ms Chew of Mr Imus’ offensive personal comments to smear an organization and group of parents fighting to improve the lives of their autistic children is itself offensive. Autism Vox? Autism Vox Falsus is more like it.